Announcement: Welcome ScreenPlay, Inc. to the Loop Family! We are extremely pleased to announce our acquisition of ScreenPlay, Inc. with coverage by Anthony Ha on TechCrunch. ScreenPlay, Inc is a 30-year-old, revenue-generating company that has supplied music videos to clients as diverse as Hard Rock Cafe, Norwegian Cruise Lines, Yard House, and Buffalo Wild Wings. 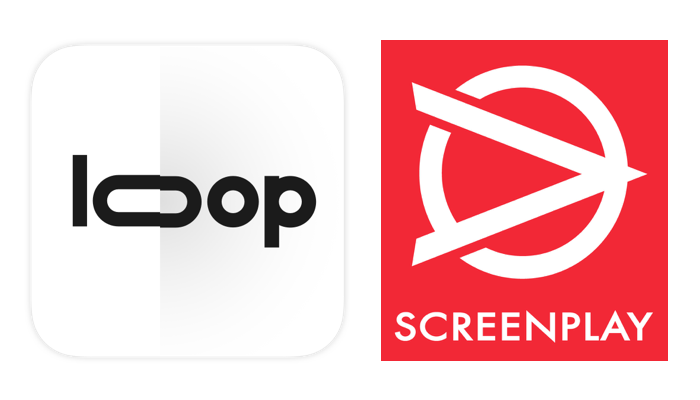 Loop’s business platform and consumer streaming app will both be powered by ScreenPlay’s expansive library of over 200,000 music videos and film, game and TV trailers. Our business solution will act as a complementary service to the bundled options ScreenPlay currently provides. Our team is excited to continue building on the momentum, trust and brand identity that ScreenPlay has established in its 30-year history. Read the story from TechCrunch. Read our live release on Business Wire. NEW STREAMING MEDIA STARTUP LOOP MEDIA, INC. ACQUIRES COMMERCIAL STREAMING VIDEO SOLUTIONS LEADER SCREENPLAY, INC.
February 20, 2019, Burbank, Calif — Loop Media, Inc., an innovative streaming media company focused on premium short-form video for businesses and consumers, announced today the acquisition of Screenplay, Inc. With the addition of the 30-year-old company, purchased in cash and stock, Loop procures a deep library of, and valuable licensing rights to, over 200,000 music videos and film game and TV trailers, millions of dollars in annual revenue and a built-in client base of thousands of public venues. Videos from Screenplay’s library can be viewed in thousands of public venues including select Hard Rock Cafes, Norwegian Cruise Line, Yard House, Buffalo Wild Wings and Caesars Entertainment. Current customers will continue to receive uninterrupted service as Loop develops and rolls out complementary services throughout the year. The videos are also provided to hundreds of websites and businesses such as IMDB, Amazon, Best Buy and more, which account for hundreds of millions of views per month. Screenplay Founder and Chairman Mark Vrieling will join Loop as Chief Content Officer, leading content acquisition and licensing, and Pete MacKenzie, Screenplay’s second-longest tenured employee, will be promoted from VP, Asset Services to President to oversee day-to-day operations. The rest of the team will continue operations at Loop’s Seattle office. ties to create and realize new revenue streams.